Pinnacle provides AdvancED accredited educational programs in Huntsville, AL that include a Therapeutic Alternative School and College Prep Private Academy. Pinnacle also provides a Virtual School program and a Residential Treatment Program for struggling teens up to age 18. We can help you determine which program meets the needs of your child. 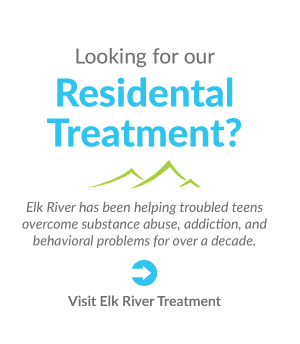 Call one of our admission advisers to find out how we can help your teen: 256-518-9998 or contact us online. The Pinnacle Schools provide AdvancED accredited education programs with behavioral health services as needed. All Pinnacle programs are accredited in Behavioral Health Care by The Joint Commission. In many cases, students work at their pace with close supervision and assistance as needed from Highly Qualified and State Certified teachers. Upon enrollment, each student is evaluated and assessed to determine strengths, remediation and/or behavioral health care needs. Pinnacle leaders work closely with students, parents, therapists and other school counselors to design a program that supports the specific needs of each student whether they are gifted or struggling in school or home. If needed, therapeutic support is provided by mental health professionals that have been carefully recruited and screened to work with our students. Does your child develop a sudden illness when it is time to leave for school? Are grades declining for no apparent reason? Does your child exhibit signs of social withdrawal, anxiety or depression? These are just a few signs of bullying. Research shows that bullying is linked to a child’s academic achievement, learning and development. With Spring Break activities and summer vacation approaching, many parents of children diagnosed Attention Deficient Hyperactivity Disorder (ADHD) face the decision of whether or not to continue their child's ADHD medication during breaks from school.